Keep posting on vector graphics. 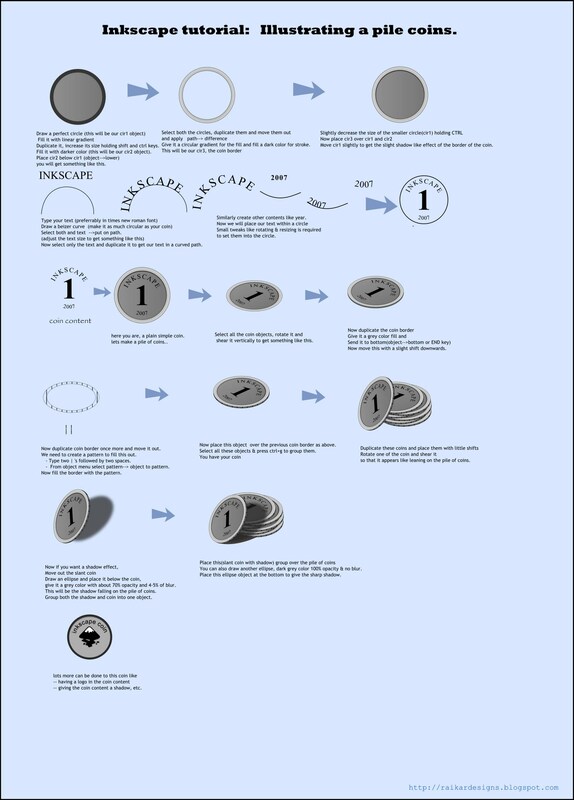 Inspired by this tutorial I manage to draw coins using inkscape for my blog and also put link to this tutorial. Really a nice post, I have enjoyed it.